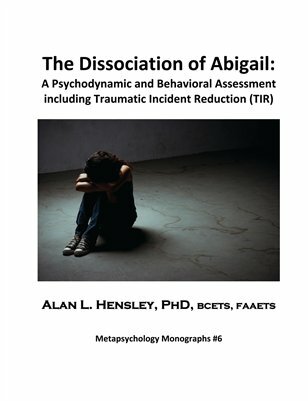 As the therapist listens, Abigail recounts a lifetime of sexual abuse and boundary violations by family members of not only herself, but also two of her children. The client complains of an inability to recall diverse periods of her life. Recently, however, she has begun experiencing recurring psychologically and emotionally distressing, thoughts, images, and dreams of satanic rituals involving family members and persons and places of her childhood in which she is forced to participate. The client offers her life has been accentuated with dysfunctional relationships. Consequently, she is prone to reclusion, and has little interest in outside persons, places, or activities, which significantly impairs social, occupational, and other activities.